Attending college has been revered as almost a rite of passage. It’s been glorified for years as the path to success, but for many that path to success is starting to take a different turn. Between 2000 and 2010, full-time enrollment increased by 45% and part-time enrollment increased 27%. However, between 2010 and 2016, full-time enrollment decreased by 9% and part-time decreased by 3%. If attending college has been touted as the goal to reach professional success and financial security, what could be a contributing cause to the slow decrease? While a percentage or two increase in tuition doesn’t seem outrageous, there are other factors consider. First, the median income for U.S. households has remained about the same for the last 20 years. Secondly, the grants, scholarships, and tax benefits students receive to offset the cost of attending college, while having risen since 2009, has also remained relatively consistent. This means that while the cost to attend college has risen, any financial support received from their families, grants, and scholarships has remained the same. Having a college degree doesn’t guarantee a high-paying job after graduation, and students are beginning to realize this. Rather than go to a 4-year college and acquire thousands of dollars of debt, students are opting for alternatives such as obtaining a degree from an online school, attending a trade college, or simply entering the workforce directly. If comparing salaries, it depends entirely upon the degree and/or industry. For example, the 2016 average salary of a bachelor’s degree in engineering earned $64,891. However, a bachelor’s degree in education only earned an average of $34,891 in 2016. Considering that in 2016, more than 70% of graduates were carrying a student loan debt of over $37,000, an average salary of even $64,891 doesn’t seem high enough given the student loan payments and cost of living. If considering trade schools, not only do students graduate faster and with skills immediately applicable in their chosen field, they also have excellent opportunities to earn excellent salaries without the extra burden of massive student loans. The advancement in technology has opened the doors to students earning degrees and certifications through non-traditional means. If you are considering furthering your education, all hope is not lost. There are alternatives for a variety of industries and career fields to further their education online. This is especially important for those currently in the workforce, have families, or who have obligations that would make it difficult if not impossible to attend traditional college. If you’re interested in furthering your knowledge without earning a degree, there are several options to meet your needs. For example, Lynda.com (also known as LinkedIn Learning) offers over 13,000 courses covering software development, business, web development, and more. It is supported by LinkedIn and is a paid monthly or annual subscription. 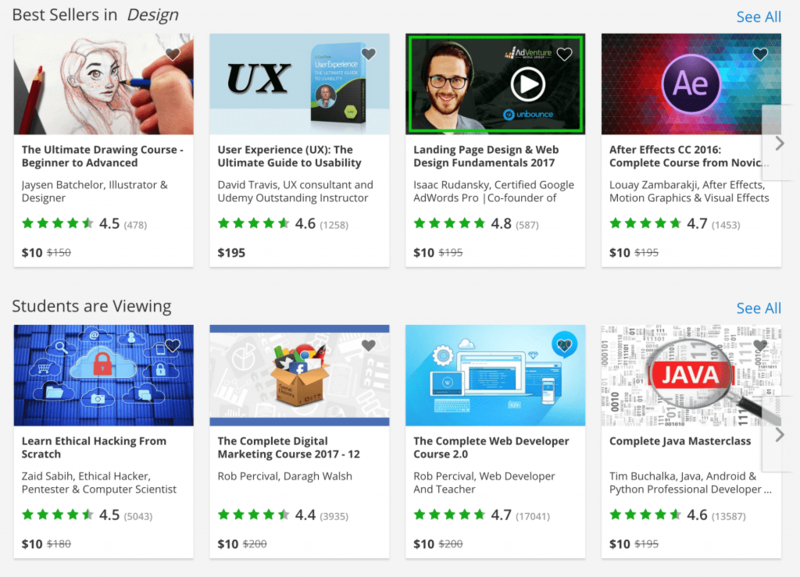 Udemy.com is another similar online service offering over 80,000 online courses priced individually starting at $12.99. Course topics include development, design, IT & software, marketing, and more. Another option is to earn specific certifications. For example, Google offers certifications across several of their platforms including Google Ads certification, Google Educator Certification, Google Cloud Certification, and more. There are also QuickBooks Certification, Facebook Blueprint Certification, and a variety of Microsoft Certifications that will help you to expand your knowledge and earn a recognized certification applicable to your career. There are several colleges offering online degrees, but it can be overwhelming to determine which college will best meet your needs without physically meeting face-to-face with admissions counselors, professors, and others. Consider colleges that are accredited and include statistics on their graduation rates, job placement rates, and cost to attend. Also consider whether there are campus visits required (some require for finals, for example), the time it takes to graduate, and the technology being used to deliver the online degree. If you are considering a college degree, invest in a degree in an in-demand field. For example, with the almost daily headlines about data breaches, hackers, and viruses impacting businesses around the world, there is a high demand for individuals educated and trained in cyber security. According to Michael Brown, CEO at Symantec, “The demand for (cyber security jobs) is expected to rise to 6 million (globally) in 2016, with a projected shortfall of 1.5 million.” Information security jobs rank as the No. 3 among technology jobs hiring managers are struggling to fill and can offer a healthy median salary to those in the field. If you’re already in the workforce or are considering college alternatives, consider advancing your education and career through an online certifications and degrees. 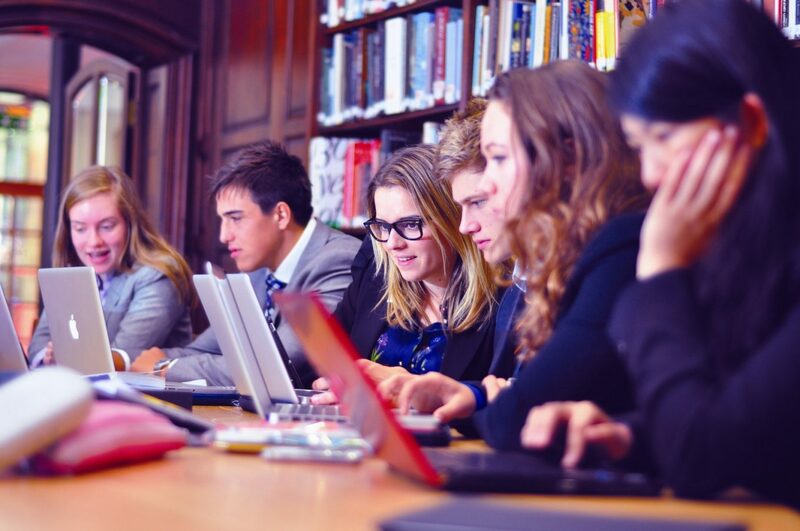 There are hundreds of options available and you’ll further your career faster than what would be reached by gaining experience and for less money and time compared to a traditional education.